On a island off the coast of Puerto Rico, a fascinating simian experiment has taken place. The results could give us a deeper understanding of behavioural economics, the psychology of risk and may explain why our economies suffer from periodic financial crises. 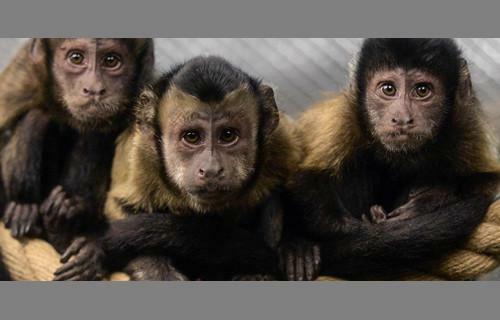 It involved six Capuchin monkeys named after James Bond characters. Researchers trained the monkeys to exchange small metal tokens for food. They were put in a makeshift tiny market where experimenters would offer different foods at different prices. One of those trading with monkeys was Laurie Santos, a professor of cognitive science and psychology at Yale University. “We could use that set up to really ask, do the monkeys pay attention to things like price - are they trying to maximise their monkey token dollar?” she explains. The monkeys also displayed other human-like traits such as opportunism. They tried to grab any tokens that were left lying around while the scientists were not paying attention. Primates engaging in some monkey business no doubt. Nevertheless, it also showed that the monkeys considered the tokens as valuable items.